Coloured lacquer for painting saya. Available in light brown, red, brown, yellow, green, dark green, light blue, blue and purple. 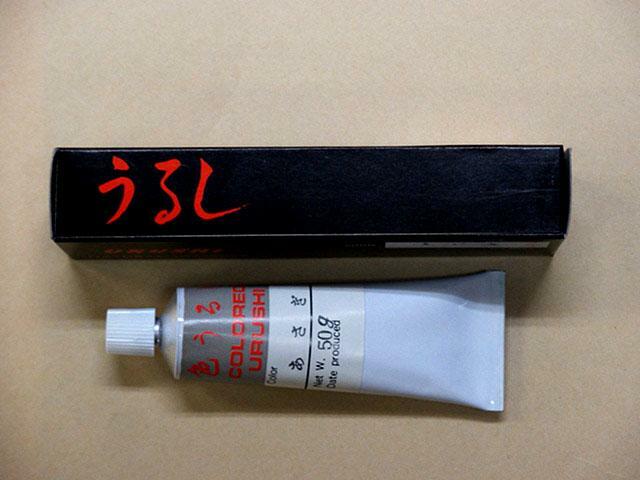 Red urushi is used for lacquering the hi in yari and naginata.